Plans for accommodation for disabled adults have been amended following the protection of trees on the site in St. Stephen’s Walk. The scheme, originally submitted to Ashford Borough Council (ABC) in April, comprises 16 sheltered housing units for profoundly disabled adults together with 6 staff flats. We reported on the confirmation of a tree protection order at the ABC Planning Committee meeting in November that prevented the original proposals being implemented. 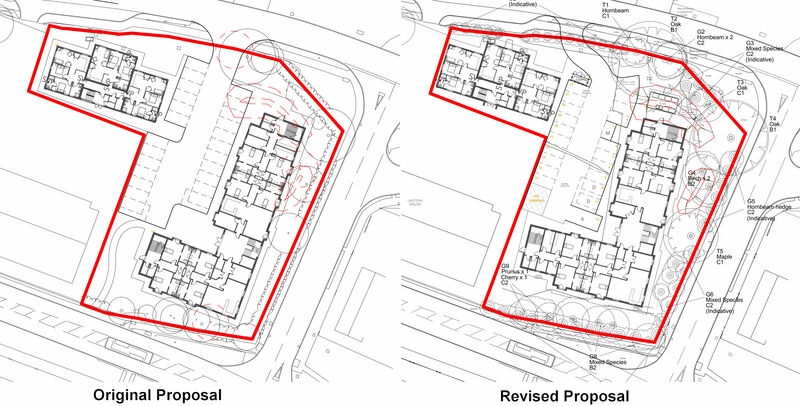 Amended plans have now been submitted which alters the position of the main building to avoid the protected trees. The amended plans do not address South Ashford Community Forum’s comment objecting to kerbside refuse collection. Around 10-15% of new mothers in the UK suffer from postnatal depression (PND). It usually develops within the first 6 weeks after birth, but can develop at any point within the first year. Symptoms may include feelings of being overwhelmed and unable to cope, suffering from low moods, anxiety, panic attacks, and experiencing irregular sleeping patterns and difficulty in bonding. This in turn may lead to feelings of guilt, anger, irritability, negative thoughts and feeling helpless and isolated, even when supported by loved ones. 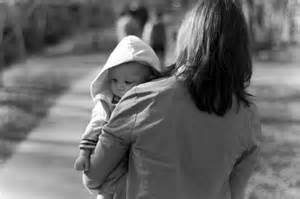 offers an environment of respite for mums finding it difficult to cope. The group uses arts and crafts to help mums explore what they are experiencing and how they are feeling, whilst providing the opportunity to meet others in a similar position and find mutual support within the group. There is no obligation to engage with the craft activities and certainly no expectation to produce masterpieces! Refreshments and lunch are provided. is a group for mums ready to explore what they are experiencing through talking with others in a similar position, facilitated by an experienced counsellor. Refreshments are provided. A crèche is provided for babies and pre-school children, allowing mums to attend the groups in the knowledge their child is looked after in a safe crèche environment. Using Big Lottery funding we offer places for up to 10 mums with PND and the groups run every Monday for 10 weeks. Craft Attack lasts two hours (12.30 – 2.30) in a relaxed and confidential environment. Jigsaw lasts one and a half hours also in a safe and confidential environment. Both groups offer support to mums with symptoms of PND and may address other aspects of anxiety and depression associated with PND. Qualified and experienced counsellors attend the groups and are available for you to speak with in relation to matters that may be affecting you and the care of your baby. Be assured that information shared is treated in the strictest confidence. Transport can be provided for those who need it from the Ashford area; the transport will collect you from your home address and will return you back once the session has finished. Child seats can be included, please let us know in advance. We will provide a confidential and safe place in which to support you. We will enable you to meet people in a similar situation to develop new friendships. We will support you in exploring feelings and emotions brought about through postnatal depression and early parenting challenges. We can provide support that meets your individual needs: respite, group therapy or individual counselling / therapy. We will work with you to build confidence and self-esteem to enable you to change your current position. Kent County Council (KCC) funds homelessness support services for vulnerable young people (16-25), adults who are over 18 and offenders who need additional support. Currently, those services can be categorised as either ‘supported housing’, ‘floating support’ or ‘rough sleeper outreach’. We would like to hear your views on the proposals contained within the consultation document, which refers to plans for those 18+, and your thoughts on how we might improve the future delivery of homelessness support for vulnerable adults in Kent. Your views will be used to help shape the future of these services after October 2018. We would like to hear your views on our proposal. We recommend you read the consultation document which can be found in the ‘Consultation Documents’ section below. To take part in the consultation, please fill in the online questionnaire which is available in the ‘Respond to this Consultation’ section below. Privacy: Kent County Council collects and processes personal information in order to provide a range of public services. Kent County Council respects the privacy of individuals and endeavours to ensure personal information is collected fairly & lawfully. We will follow our Data Protection Act guidelines to keep your information secure and confidential. We recommend using Google Chrome if viewing and downloading consultation documents from mobile devices. KCC would like to hear your views on proposals for the future of the Homelessness Support Service. From 22 Jan 2018 at 13:00 to 4 Mar 2018 at 23:59. Caring for others is often an important part of keeping up relationships with people close to you. It can even bring you closer together. Why not share your skills more widely by volunteering for a local charity? Helping out can make us feel needed and valued and that boosts our self-esteem. It also helps us see the world from another angle. That can help to put our own problems in perspective. Find out more about volunteering at www.do-it.org.uk. Caring for a pet can improve your wellbeing too. The bond between you and your pet can be as strong as between people. Looking after a pet can bring structure to your day and act as a link to other people. Lots of people make friends by chatting to fellow dog walkers. Kent County Council and the NHS organisations providing health and social care in East Kent have launched a website to promote employment in the sector in East Kent. The move comes as the organisations work together towards the Kent and Medway Sustainability and Transformation Plan (STP). The STP describes what the organisations think needs to be done differently to bring about better health and wellbeing, better standards of care, and better use of staff and funds. provides services to women and children experiencing domestic violence. offers confidential and emotional support for those who are experiencing despair. 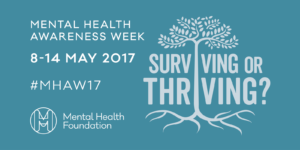 offers information and support for those with mental health issues. helps people with drug problems. free, confidential helpline for people who are concerned about their drinking, or someone else’s. advises young people aged 17 if they are thinking about running away, if they have already run away, or if they have been away and come back and those that are worried that someone else is going to run away or if they are being treated badly or abused. provides information, friendship and advice for older folk. Do you have caring responsibilities? Do you have caring responsibilities for a member of your family or a friend? If so, Healthwatch Kent would like to hear if you have been offered a Care Assessment and what your experiences of the process has been? All Carers are entitled to a Care Assessment. That should be an independent assessment of your care and supports needs. This assessment then forms the basis of your care and support plan for you, the carer. Healthwatch Kent have heard from many carers across Kent about their experiences of Care Assessments. Now they want to hear from more carers so they can help improve the system for more carers in the future. Please encourage your carers to share their experience with Healthwatch Kent. Or can you share it on their behalf? You will be helping to improve the system for other carers in the future. Everything you tell Healthwatch Kent will be in confidence and your personal details will not be shared with any other organisation and destroyed on completion of the project.